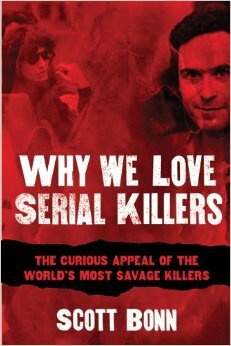 Significantly, serial killers differ from mass murderers or spree murderers. A mass murder can be defined as the killing of multiple people at a single location where the victims may be either randomly selected or targeted. A mass murderer is often killed at the scene of the crime; sometimes by his/her own hand. A spree murder is the killing of multiple people at different locations over a short period of time (the maximum duration is usually 7 days). The killer in spree murders often but not always knows his/her victims, and most often targets family members or romantic partners. The key distinction between serial killers and mass or spree killers is this emotional cooling off period in which the killer blends back into his/her seemingly normal life. The predator reemerges to strike again when the urge to kill becomes overwhelming. The duration of the cooling off period can vary from weeks to months or even years, and varies by killer. Dennis Rader or “Bind, Torture, Kill” (BTK) had 10 known victims over nearly 30 years! Doc Bonn is the author of “Mass Deception: Moral Panic and the U.S. War on Iraq,” a critically acclaimed book on war crime and terrorism from Rutgers University Press (2010). His latest book is on the public’s fascination with serial killers in which he offers insights into the minds of infamous predators and explains how and why serial killers are often transformed into ghoulish popular culture celebrities by the media. Titled “Why We Love Serial Killers” the book is published by Skyhorse Press and released in October, 2014.